Columbia Metropolitan Airport or CAE is the major commercial airport in Columbia and South Carolina. CAE airport is situated just 8 km of Columbia. It is the home hub for UPS Airlines. Airport serves more than 1 million passengers annually. 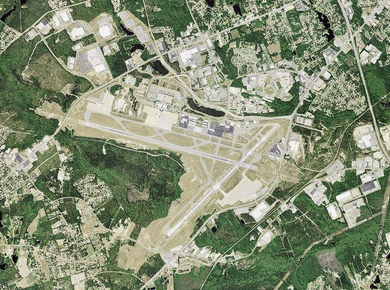 Columbia airport genuinely supports the ECOproject (Enhanced Construction Opportunities) which is basically means maximizing efficiency with lower energy expenses plus reducing environment harm as much as possible. Airport make all the efforts to follow the ECOproject by reducing carbon footprint, ensuring that customers can travel through the airport fast and comfortable, improve efficiency by lowering energy and other costs and lots of other things. CAE airport offers big diversity of parking choices. Cell Phone Parking Lot, Garage Parking Lot, huge Surface Parking Lot, Valet Parking, Premier Parking and additional Fast Line parking program. There is also a big stand-alone Employee Parking, which means more vacant parking places at customers parking lots! Cell Phone Parking is a popular decision to separate most swift drivers from common parking spots. This lot is free for 30 minutes stay, but the main rule – do not leave your car unattended. Garage Parking is an indoor covered parking lot that is situated just across the Main Terminal building. Surface Parking is a massive outdoor parking lot with additional Fast Lane program. By being a member of this program you can move in and out of the Surface Parking with just one swipe of a card, plus get a nice discount. Premier Parking was specially provided for frequent flyers. This exclusive access lot offers flat commission parking right next to the Main Terminal building, which makes finding a vacant space easier than ever. All parking lots are open 24/7. Parking employees ask customers to park in designated places only, otherwise the car placed on un-designated place may be towed away with further expenses. Garage Parking Lot. First 20 minutes are totally free, stand up to 40 minutes’ costs $3 and each additional 20 minutes - $1. Daily maximum costs $12. Surface Parking Lot. First 20 minutes cost $1, up to 40 minutes’ costs $2 and each additional 20 minutes - $1. Daily maximum costs $8. Members of Fast Lane program pay $6 per day. Valet Parking Lot costs $14 per day. Premier Parking is available for $1,000 per year.